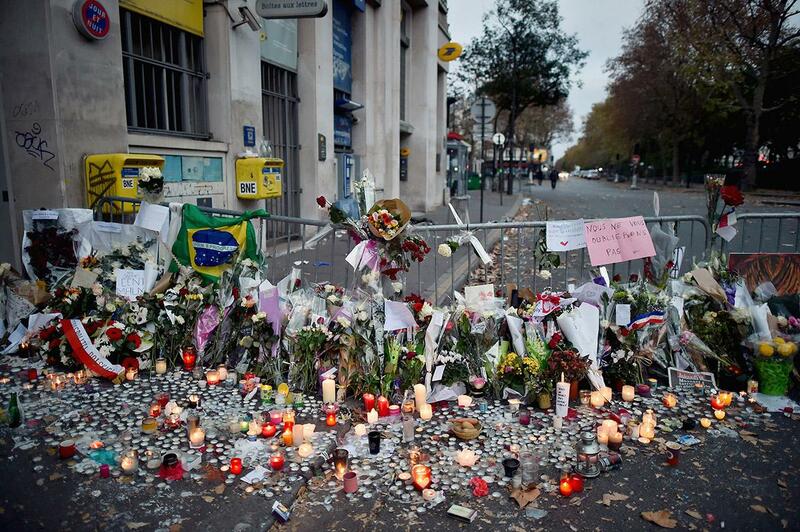 Flowers, candles, and tributes cover the pavement near the scene of Friday’s Bataclan Theatre terrorist attack on Nov. 15, 2015, in Paris. 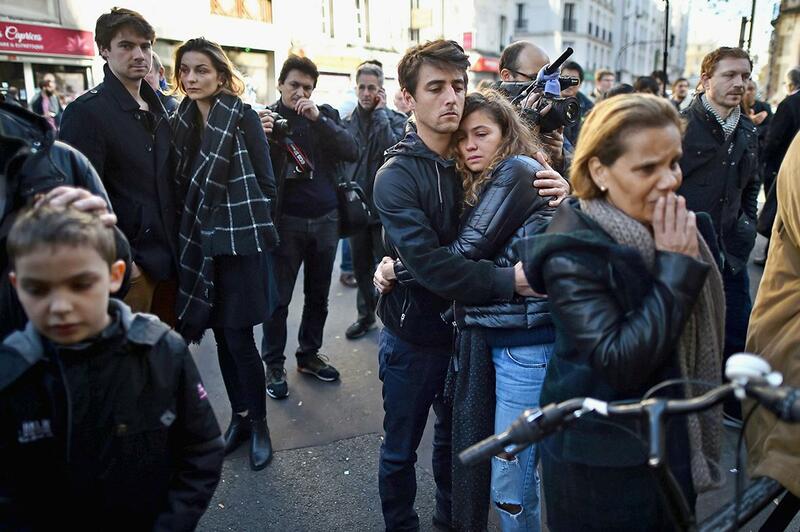 Members of the public gather to lay flowers and light candles at La Belle Equipe restaraunt on Rue de Charonne following Friday’s terrorist attack on Nov. 15, 2015, in Paris. 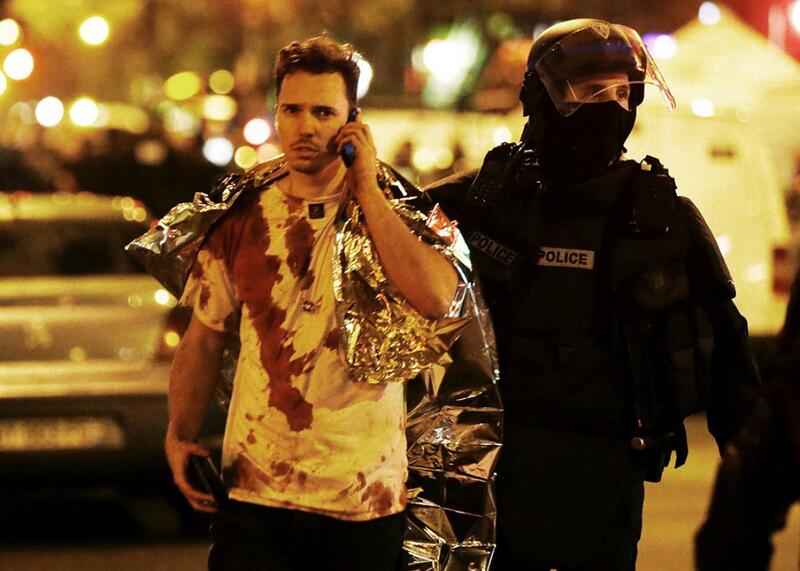 A French policeman assists a blood-covered victim near the Bataclan concert hall following attacks in Paris on Nov. 14, 2015. More photos from the immediate aftermath of the attacks can be seen here. 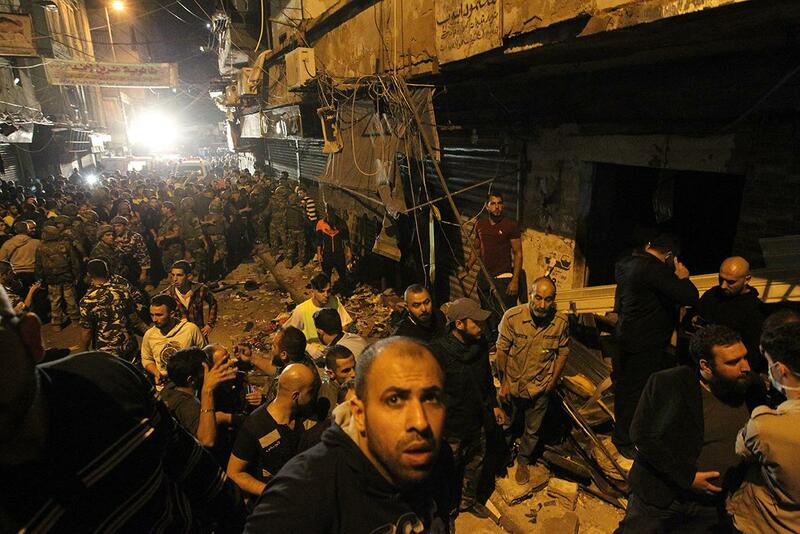 Emergency personnel gather at the site of a twin suicide bombing committed by members of ISIS that claimed the lives of 43 people in a busy shopping area of Burj al-Barajneh, Lebanon, on Nov. 12, 2015. 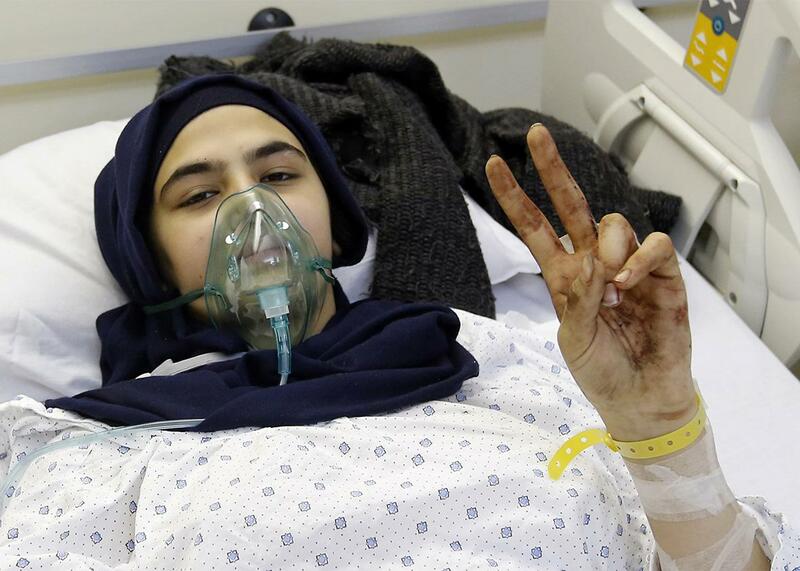 Jannat, 12, who was wounded in the bombing of Burj al-Barajneh in Lebanon, gives the peace sign while being treated for her injuries on Nov. 13, 2015. 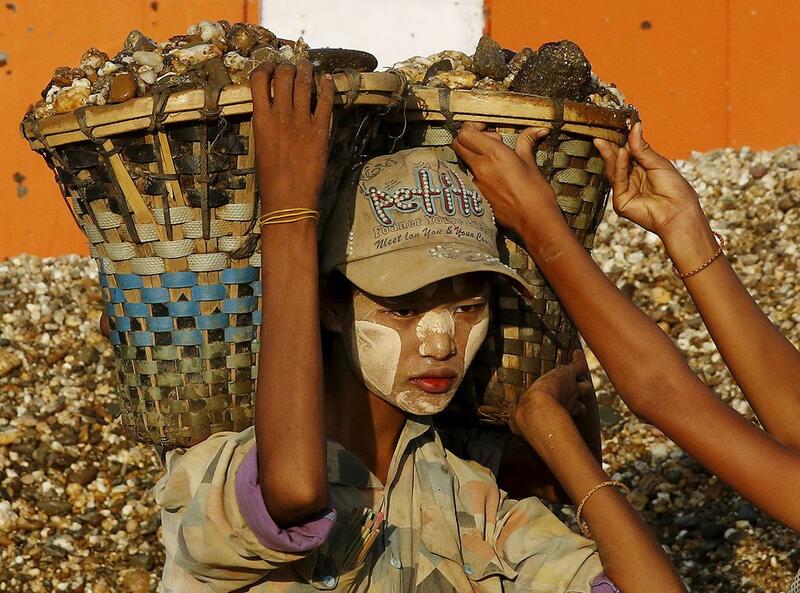 Laborers unload gravel from a boat docked in Dala township, opposite Yangon, Myanmar, on Nov. 12, 2015. 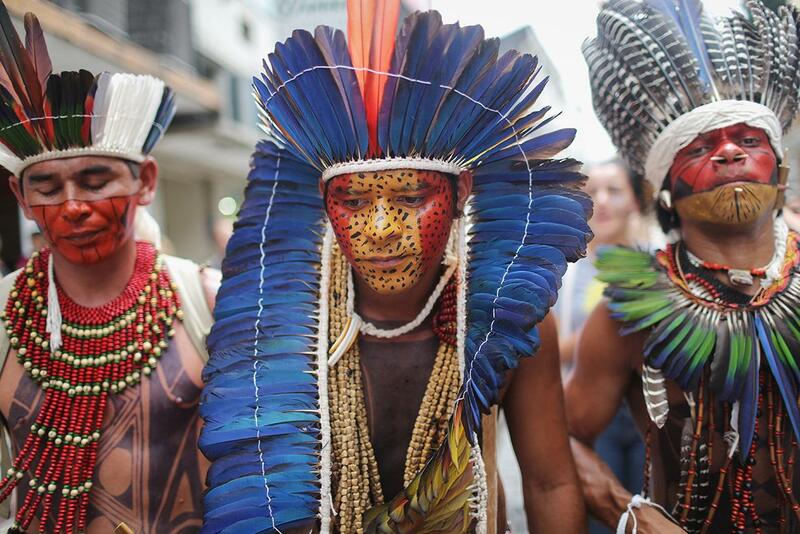 Tribe members march for indigenous territorial rights on Nov. 11, 2015, in Angra dos Reis, Brazil. Members of the Pataxo and Guarani tribes in Rio de Janeiro state joined the march. Indigenous communities strongly oppose a constitutional amendment facing Congress that would allow Congress to demarcate indigenous territory. 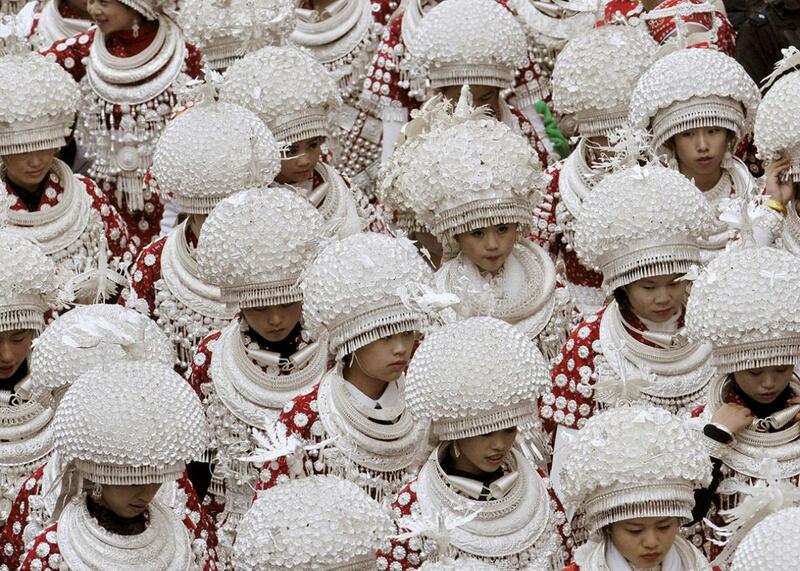 Members of the Miao ethnic group wearing ceremonial costumes take part in a parade during the traditional Lusheng (reed-pipe wind instrument) Festival in Gulong in Guizhou province, China, on Nov. 8, 2015. 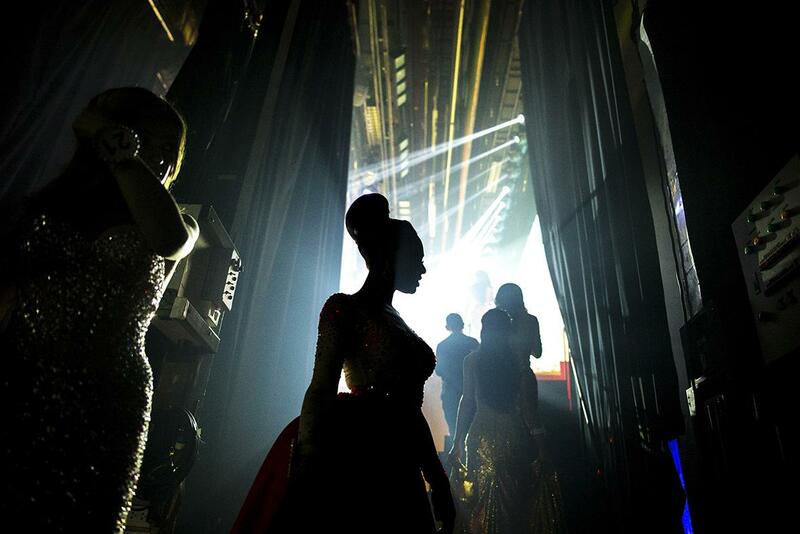 Contestants prepare to go on stage during the Miss International Queen 2015 transgender/transsexual beauty pageant in Pattaya, Thailand, on Nov. 6, 2015. Some 27 contestants from 17 countries, all born male, are competing in the weeklong event for the crown of Miss International Queen. 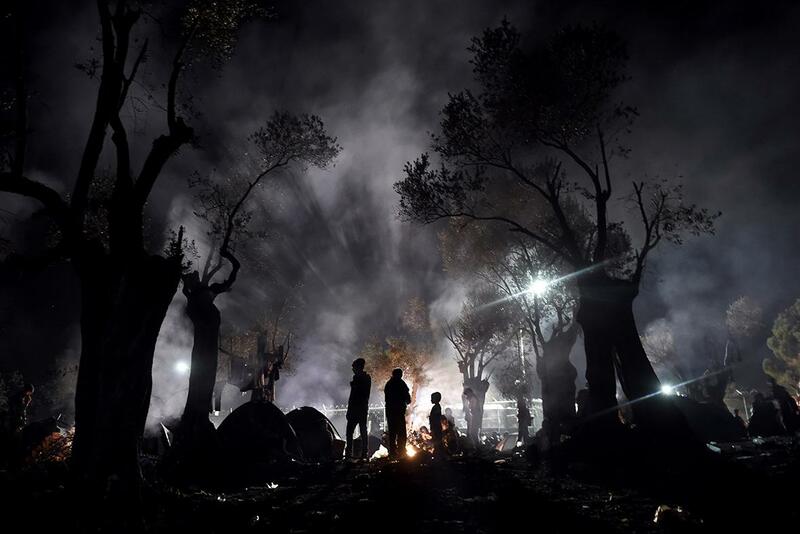 Refugees and migrants spend the night in a field outside of the Moria Hot Spot, on the Greek island of Lesbos on Nov. 9, 2015. More than 3,000 refugees and migrants have drowned among the nearly 800,000 who have reached Europe this year. However, EU states have bickered for months over a joint solution, particularly over plans to relocate a total of 160,000 asylum seekers from front-line countries to other parts of the EU bloc. 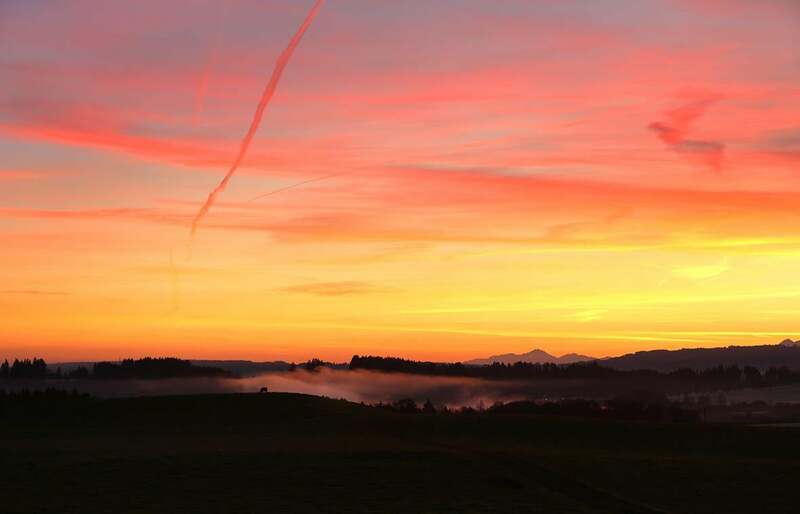 A cow grazes on a meadow as sun rises near Lechbruck, southern Germany, on Nov. 12, 2015. 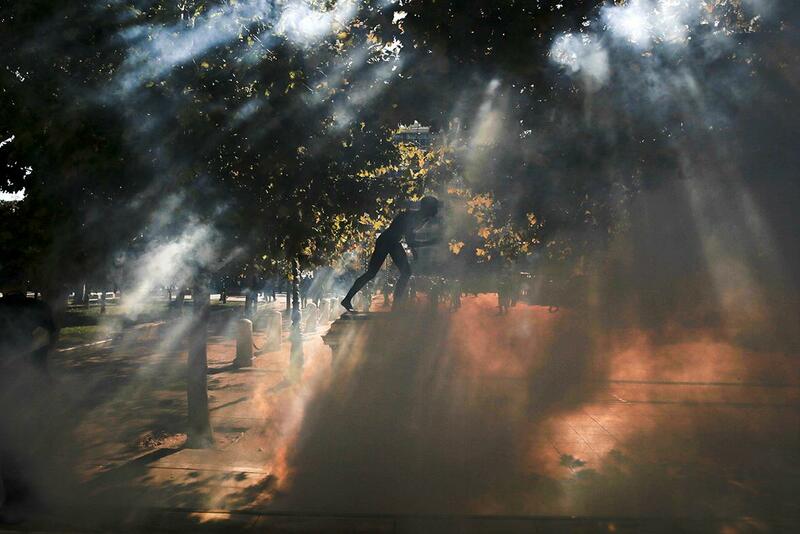 Tear gas smoke surrounds a statue on main Syntagma square during brief clashes between police and protesters during a 24-hour general strike in central Athens, Greece, on Nov. 12, 2015. Domestic flights were grounded, ships remained docked at ports, and public offices were shut on Thursday as Greeks walked off the job to protest austerity measures demanded by international lenders in exchange for fresh bailout funds. 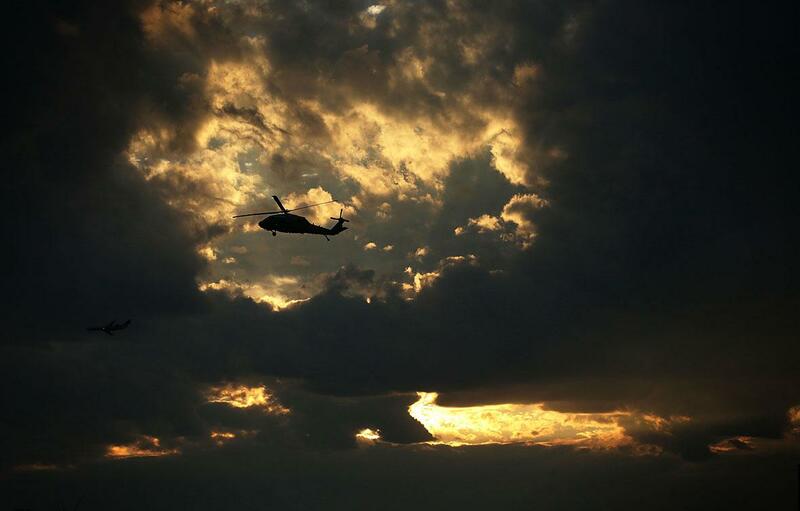 A helicopter flies above the Tidal Basin on a warm evening Nov. 6, 2015, in Washington, D.C. Unseasonably warm weather in the Eastern U.S. has made the first few days of November feel more like late summer. 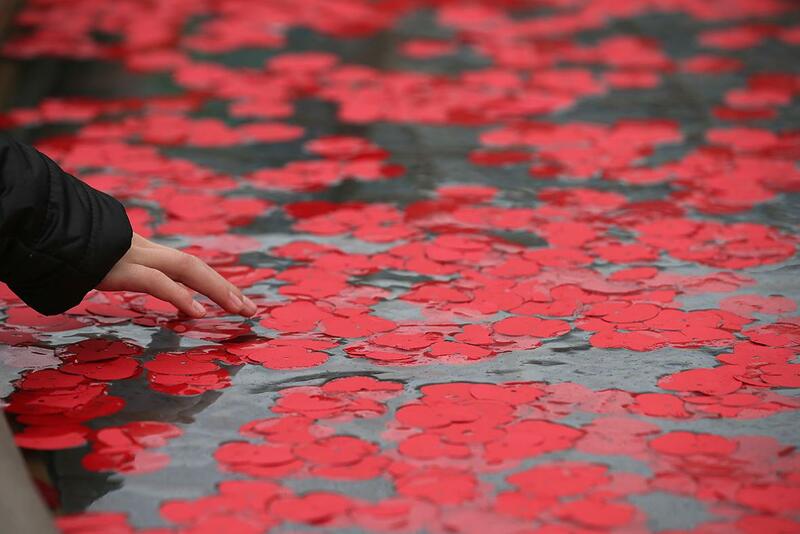 Poppies float in the fountains in Trafalgar Square on Nov. 11, 2015, in London. People across the U.K. and the world gathered Wednesday to pay tribute to service personnel who have died during conflicts, as part of the annual Remembrance ceremonies marking Armistice Day on the 11th hour of the 11th day of the 11th month.